Unknown ?, a Han Chinese dancer defects/escapes from Florida Splendid China. (31) "A Citizens Call to Action" Vol. 1 No. 4 mailed out. March (10)Protest demonstration to commemorate anniversary of Tibetan Uprising Day. 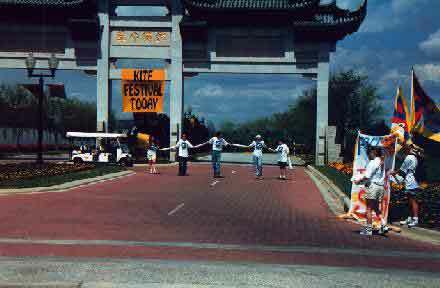 (11) Kite Festival begins at Florida Splendid China. (16) Protest demonstration to commemorate anniversary of Tibetan Uprising Day. April (19) Representative Assembly of the 1996 Florida Teaching Professionals-NEA State Conference in Orlando passes resolution to ban personal or school trips to Florida Splendid China from it's members. The resolution passed overwhelmingly. That FTP/NEA recommend to its members that "Splendid China" not be used for educational field trips until such time as the exhibit on Tibet is removed or until China recognizes the sovereignty of the Nation of Tibet. "A Citizens Call to Action" Vol. 2 No. 1 mailed out. Action is Demonstration for anniversary of Tiananmen Square Massacre and press clippings. June Public meeting held in Kissimmee. Rapid response team formed. 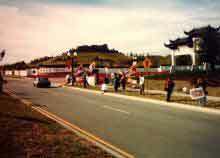 (2) Protest demonstration to commemorate anniversary of TianAnMen Square. 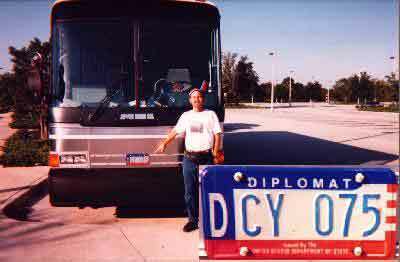 (name deleted), a Han Chinese Martial Artist defects/escapes from Florida Splendid China. July (17)Protest demonstration at Grand Opening of 'ChinaTown'. Michael Eisener and Disney entourage tour Florida Splendid China. Rumors fly that Disney may buy Florida Splendid China, or that Disney wants to go in with China Travel Services on a theme park project, or that Disney wants a Panda for it's new animal park. 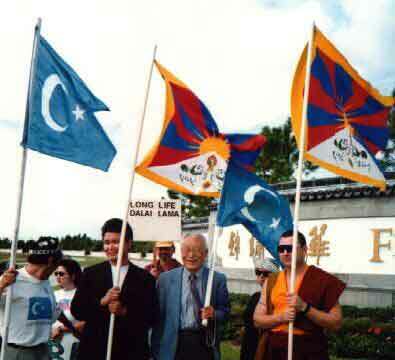 (13)Protest demonstration to commemorate anniversary of takeover of Eastern Turkestan. 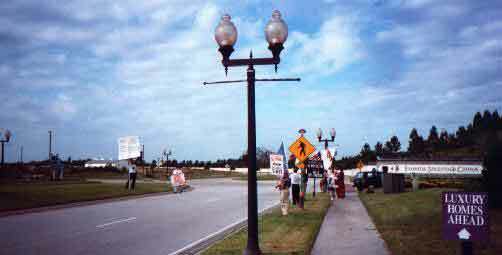 (22) Protest demonstration to commemorate third anniversary opening of Florida Splendid China. Feb. (1) Magical Snow Tiger Adventure begins at Florida Splendid China in cooperation with Tiger's Eye Productions. (17) "A Citizens Call to Action" Vol. 2 No. 4 mailed out. Announces 3/9/97 demonstration and kicks off campaign against AAA multipass with Florida Splendid China. March 9 Protest demonstration to commemorate anniversary of Tibetan Uprising Day. April 27 Protest demonstration to commemorate 50th anniversary of takeover of Southern Mongolia. May (31) People for the Ethical Treatment of Animals (PETA) stage demonstration at Florida Splendid China, call on Splendid China to cease business with the alleged animal abusers "Tiger's Eye Productions". June (1)Protest demonstration to commemorate anniversary of TianAnMen Square. CACCP Special Investigator travels to Hong Kong for documentation on the park ownership. Documents are copied to microfiche and send back to US. 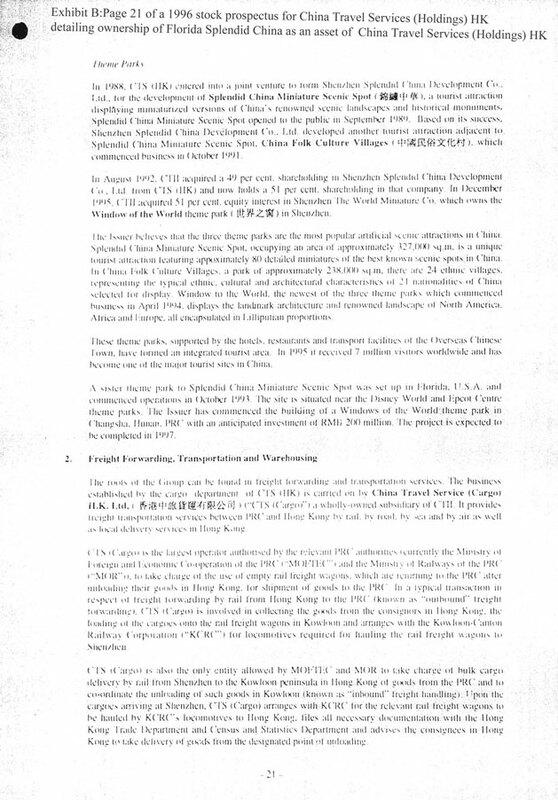 Page 15, which details the ownership of China Travel Services (CTS) (State Council of the People's Republic of China) and Page 21, which lists the park as an asset of CTS are available on the WWW. July 13 Protest demonstration to commemorate 2nd anniversary of ChinaTown Opening. Oct. 12 Protest demonstration to commemorate anniversary of takeover of Eastern Turkestan. Dec. (21) Protest demonstration to commemorate fourth anniversary opening of Florida Splendid China. Why are Uyghur Language Broadcasts Important ? Feb. Full set of documentation on ownership of park sent to US Attorney General Janet Reno asking her to look into allegations that CTS and Florida Splendid China are not compliant with the Foreign Alien Registration Act (FARA). Copies of documentation were also sent to Senators Mack and Graham of Florida. Mar. 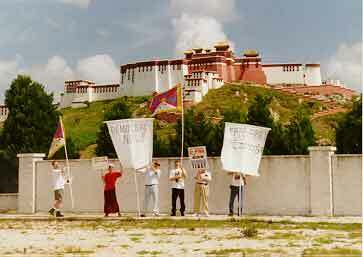 Protest demonstration to commemorate anniversary of Tibetan Uprising Day. May (02) Protest demonstration to commemorate 51st anniversary of takeover of Southern Mongolia. 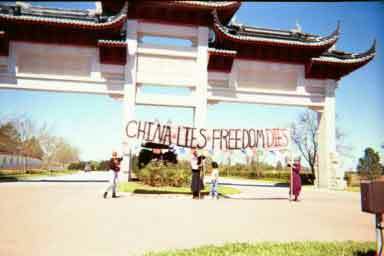 (31) Surprise Protest demonstration at main gate at Florida Splendid China. I am writing in response to your letter of March 3, 1998, to the Department of State referring correspondence received from one of your constituents, Mr. Jack Churchward. 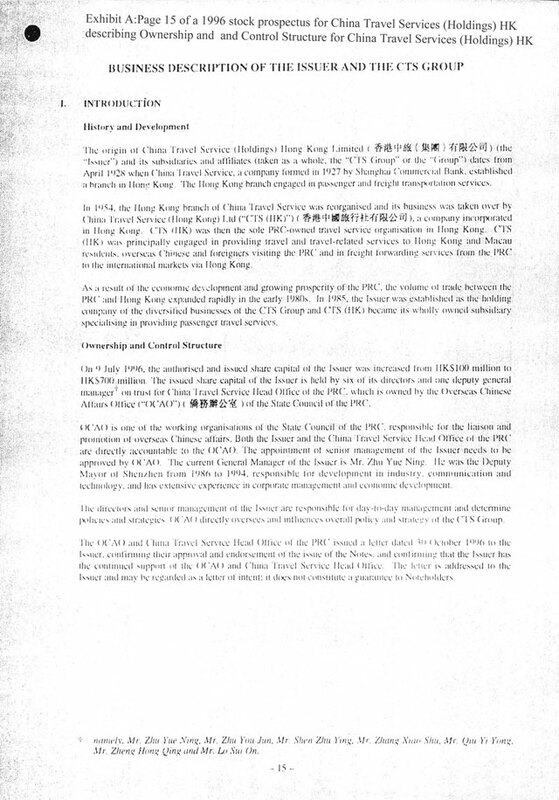 Mr. Churchward's letter expressed concern about China Travel Lippo Development (HK) LTD. and included material of interest about the corporation. The Department of State forwarded your letter to us because of Mr. Churchward's reference to campaign financing violations by the corporation. Please be advised that Mr. Churchward's allegations and supporting material have been given to the appropriate persons on the Campaign Financing Task Force. Enclosed please find an interim reply from the U.S. Department of Justice, Criminal Division regarding my inquiry on your behalf. Agencies generally reply to my office within sixty (60) days from time of initial contact. While this is the standard rule, some agencies have taken as long as twenty-four months to generate a final reply. Please be assured that as soon as I have any further information from Campaign Financing Task Force regarding this matter I will be back in touch with you. October The Case Against Florida Splendid China is completed. Our investigations into China Travel Services (Ltd.) Hong Kong and the Florida Splendid China theme park in Kissimmee, Florida reveal that pursuant to the Foreign Agent Registration Act, these agents of the Chinese government are not registered as required by federal law. Florida Splendid China, masquerading as a legitimate business, is owned, controlled and operated by the Chinese Communist Party as a propaganda theme park as evidenced by the attached document, "The Case Against Florida Splendid China". As a concerned American citizen, I urge your office to investigate this matter thoroughly and prosecute them to the fullest extent of the law. The Case Against Florida Splendid China is received by Department of Justice. Citizens Against Communist Chinese Propaganda attend Political Fair at the Southeast Regional Junior Statesmen of America Fall Convention. 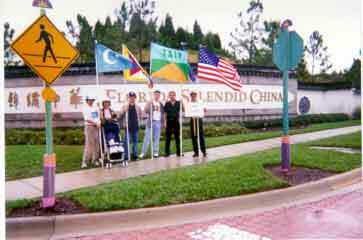 Citizens Against Communist Chinese Propaganda and International Taklamakan Uighur Human Rights Association hold 5th Anniversary protest demonstration at Florida Splendid China.